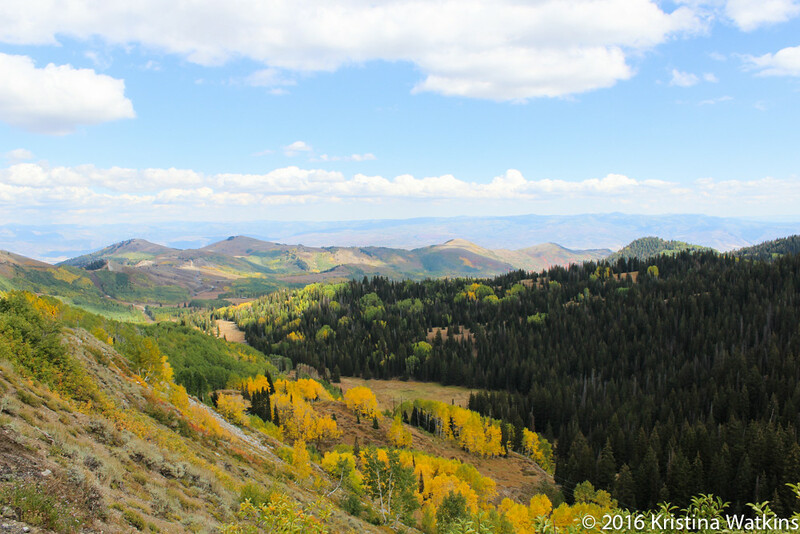 Fall in Park City is brief. Unpredictable. We have a dozen hot days and then one morning it’s freezing and we can’t remember how the furnace works. Next we have six or eight cold days and then it hits 85 and we all get sunburnt. Dressing ourselves is a struggle. On the first day of fall we ceremoniously parade out our fleece jackets and our knit sweaters, giddy about the soups and stews we’re going to make. And by that afternoon it’s so hot we wish we hadn’t boxed up the golf clothes and the last thing our damp hands want to touch is that godawful fleece. Autumn snowstorms erupt out of nowhere. The morning starts out innocent enough, with just a bit of a charge on the air. Lunchtime is warm and we all linger on outdoor patios, drinking our beers and white wines and eating salads. By the afternoon, however, the sky is dark. Vengeful. And by morning there is a dusting of white on the mountain tops and a feeling of panic sets in as we all wonder where in the world our windshield scrapers got off to. The first snow brings out the contrast in the fall colors. 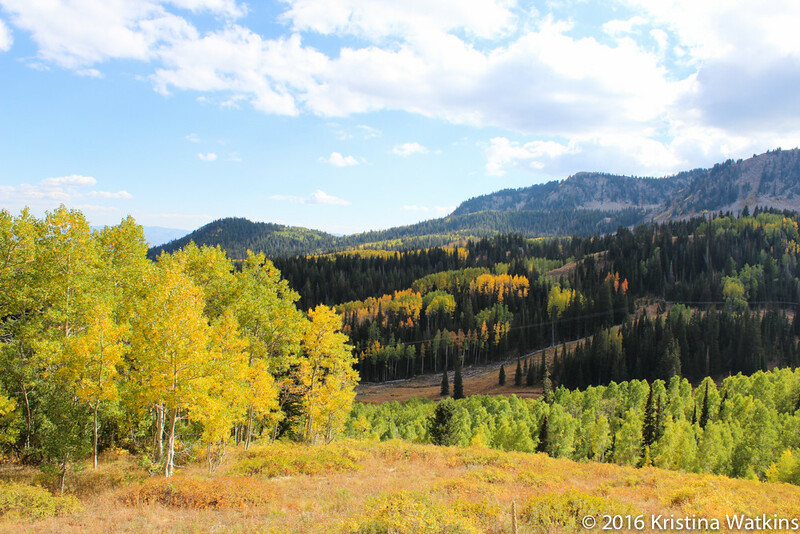 The aspens turn brilliant gold except for a special few spots on the hilltops where the soil is just so and instead they turn as red as any maple. 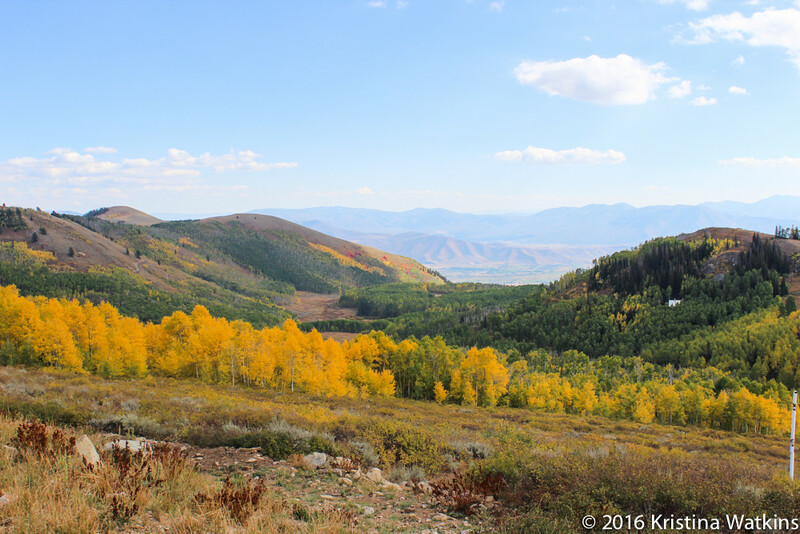 If you’re very lucky you can find red scrub oak and yellow aspens at the same time, dotted around the dark green pine trees. The elk and deer, coyotes and lap dogs start to lose their dark summer tones. 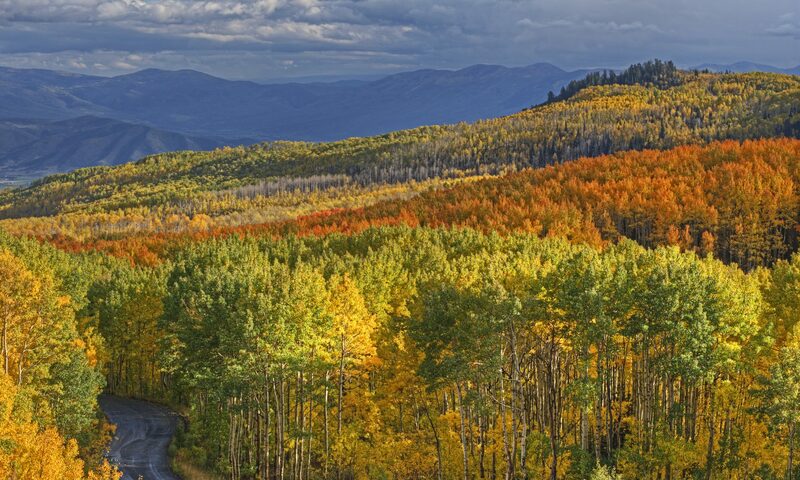 We wear oranges, and browns, and deep dark reds, and hope to make time in our busy schedules to head to the mountains and see the leaves. We know. We all know. The leaves will fall. It may take another month and we have plenty of time, or it may happen tomorrow and we’re out of luck. The foliage is not something that we can count on for long. The foliage…is a metaphor. And it’s not even an interesting one or one that presents any kind of epiphany when we recognize it. It’s an absurdly obvious testament to the delicacy of a season. The months keep walking, the years keep running, and we decide what to slow down to see as the world turns. But there is always Something else we could be doing. Something Very Important. And when that Thing is done there is another Important Thing to see to. And before you know it you’ve done Many Important Things but everything and everyone around you suddenly looks old. All the leaves have fallen. Fall has come and gone you weren’t watching. The Things can live without you. Go for a drive. Hold hands with someone. Press your nose into your dog’s head. Stand outside with arms stretched wide, with the sun on your face and breeze in your hair. Pay attention. Because someday none of the Things will matter at all and you’ll wish you’d spent more time looking at the leaves.